Updated June 8, 2017: Before filing new API bugs, please read this page. Chances are, what you need has already been filed, so checking beforehand will help prevent duplicates–thanks! 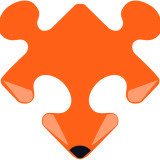 If you want to help drive WebExtensions forward, or simply listen in on discussions, please subscribe to the dev-addons@mozilla.org mailing list.